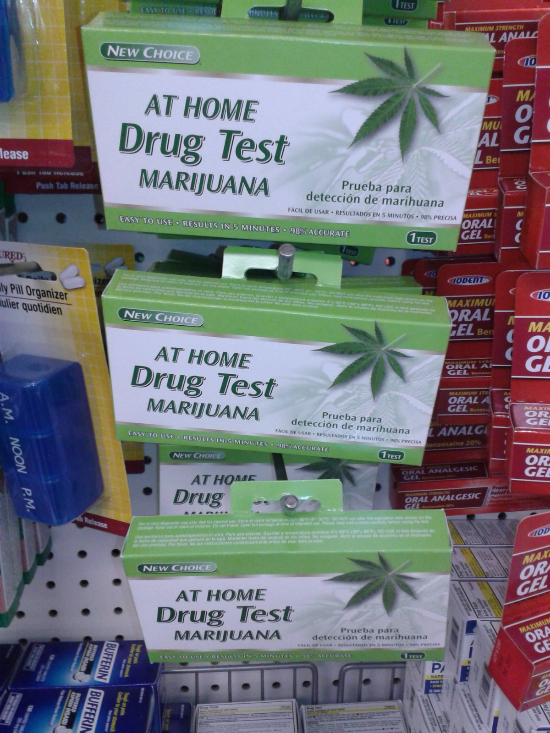 This is a photo of tests people can buy at a dollar store. Doesn’t it make you wonder who is buying these and why people are buying these? We are now up to 28 states where marijuana is legal “for medicinal purposes” and four for “recreational purposes”. The states that already legalized it are providing us with a live experiment. Those who like the idea of free-markets and personal responsibility question how it is right for the government to restrict these drugs. 1.) Government has the authority to outlaw substances that have been proven harmful. No government bans all substances that could be harmful, nor would we want government to do this. However, when government attempts to protect individuals and families from the worst threats, it reduces the volume of the worst outcomes. The opposite is also true. When government legalizes behavior, it tends to proliferate the activity. For example, the abortion rate sharply increased after it was legalized. Recently, there was an incident of third grade boys “toking pot” in the boys bathroom. We should expect this to happen with greater frequency at younger ages when government makes it easier for children to gain access to marijuana. 2.) It is correct for the states to be making these decisions. However, many elected officials don’t use sound reasoning skills and do not have a “true North” compass in place. Without a moral plumb line, they tend to be driven by the wind of whatever seems popular at the time or whatever position appears to offer the greatest campaign funding mechanism (money). 3.) When we keep these substances out of legal pipelines, we make the streets safer for those who don’t do drugs (the innocent victims). 4.) Ask yourself if you think everything should be legal. Where do you draw the line? If you draw it anywhere, how do you decide what is good and what is bad? If the taxpayers were not spending anything on drug rehabilitation, traffic accidents caused by people driving while under the influence or the break up of families caused by substance abuse, you might be able to make the case. However, that is not true. So long as the taxpayers are picking up the tab for social ills created by people getting addicted and high from these drugs, it is our business to protect the taxpayers. All the studies agree that there are more problems created, beginning with brain damage, lower IQ and lack of productivity. When the government quits paying for social welfare, we can talk about legalizing everything else. Not sure if that day will come during our lifetimes. Until that day comes, it is the duty of the elected officials to preserve some of the decorum left in our society that holds our fiber together. We cannot allow those on the Left to promote Socialism everywhere and then use the free-market argument when it comes to something that has been proven to have a negative effect on our society. When people no longer use religion and morality to control themselves internally, they need more external controls. Removal of those external controls doesn’t make people suddenly become more responsible. In parenting, if you let a child play in the street, that doesn’t necessarily make him learn how to play safer. Even if it did, how many children must die before they learn? 1.) 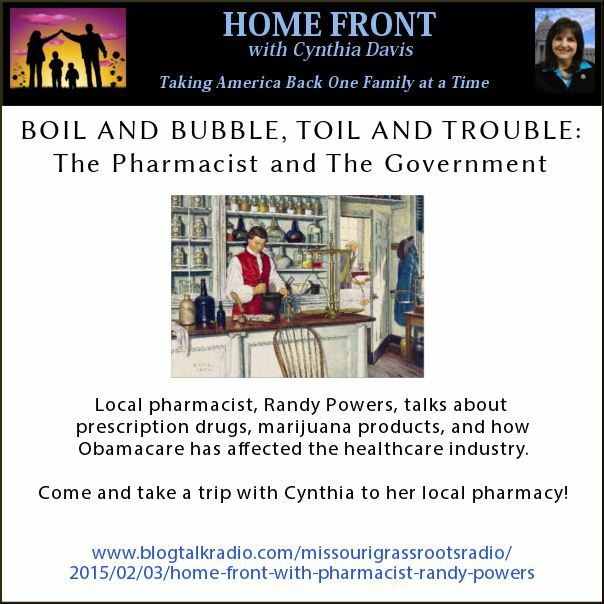 Listen to our podcast this week where I talk with a local pharmacist about drug issues. You may learn some valuable new facts. Most of the debates about the legalizing of drugs involve knee-jerk reactions. Both sides have their arguments, but frankly, most discussions of the topic leave me wanting for intelligent, principled perspective. 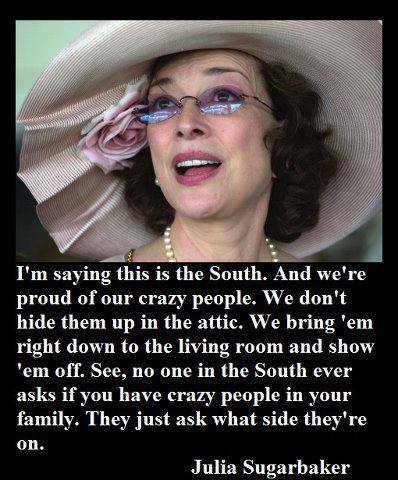 Thank you Cynthia for adding that needed perspective.